The Building Today’s Veterinary Practice Series is dedicated to providing readers insight into issues and resources that support long-term practice growth. This installment provides a brief overview of recent business trends that affect the veterinary industry as a whole as well as individual veterinary clinicians and business owners. Read additional articles in this series by visiting tvpjournal.com. While these topics are valuable and certainly worth attention, veterinary services are part of an almost $60 billion marketplace that is rapidly changing and may continue to stay fluid in coming years. Over the past 12 months, the animal health industry has seen many changes that impact how practices will operate, serve their clients, and make business decisions in the coming years. In this article, some of the most significant trends and events affecting the veterinary industry and, potentially, the practice itself are summarized. Many of these changes represent opportunities for practices to benefit from new offerings or advancements in service while others may introduce new competitive challenges. Either way, changes to the industry as a whole are certain to bring changes to individual businesses. One of the most visible, recent changes in the animal health industry is the financial sector’s acknowledgement of animal health as an attractive investment opportunity. According to the American Pet Products Association, the animal health industry has grown 20% since 2010, far outpacing many other industries.1 As a result, significant funds have been invested into companies focused exclusively on animal health products and services. While it was once standard for animal health businesses to be integrated into much larger human health parent companies, animal health companies capable of operating successfully as stand-alone entities have been emerging. The most publicized event of this type occurred in February 2013, when Pfizer spun out its animal health business into a new entity, Zoetis. This move garnered significant interest from the investment community and raised the profile of the animal health industry to broader markets. In late 2013, two more early-stage animal health therapeutic companies were successful in raising capital through an initial public offering in the stock market. Aratana Therapeutics (PETX, NASDAQ) and Kindred Biosciences, Inc (KIN, NASDAQ) raised $35 million and $53 million, respectively, to fund further development of animal therapeutics. In July 2014, Trupanion (TRUP, NASDAQ) successfully raised over $73 million to expand their pet insurance platform. What Does It Mean for the Practice? While one might assume that these events only impact large organizations, what happens to these companies, and others, will eventually impact the private veterinary practice. With new investment also comes new, increased scrutiny from the marketplace, and successes and failures are magnified. For Aratana, the successful outcome of a pivotal field study for an osteoarthritis product in 2014 induced an 11% increase in share price. However, Kindred Biosciences experienced the opposite effect when the field trial of its first compound did not achieve its primary endpoint, dropping the company’s share price almost 30%. Zoetis is also currently under pressure as activist investor William Ackman’s Pershing Square Capital Management, LP has taken a roughly $2 billion stake (estimated 10%). Many analysts believe Ackman could be effective in pushing the animal health company to sell itself to a larger human pharmaceutical company. The growth of successful, independent animal health companies introduces new innovations that benefit patients and practices, both in therapeutic offerings and patient and client services. But market failures, or even the potential for failure, may force some companies to make decisions based on survival needs rather than their original missions of improving animal health. The end result for the consuming practitioner could be less innovation and fewer options for patient care. The animal health industry is not immune to mergers, acquisitions, and consolidation, and many large transactions have occurred during the past year. While practice owners often see the market from the perspective of small business owners—in which growth is slow and driven organically by the development of new customers—suppliers to our businesses create value through much larger deals and transactions. The rapid changes can often be confusing. Eli Lilly completed acquisition of Novartis’ animal health business, making it the second largest animal health company in the industry. Virbac also benefitted from this transaction, acquiring the divested Sentinel product line and adding a strong flea and tick product to its own portfolio. Later that month, human health distribution leader AmerisourceBergen Corp agreed to buy MWI Veterinary Supply, Inc; the transaction was completed in March 2015. Henry Schein, Inc announced the acquisition of Scil Animal Care Company, an international maker of laboratory and imaging equipment. As the number of animal health suppliers decreases and their relative size increases, the effect on the veterinary practice as a consumer can be both beneficial and detrimental. On the upside, according to company and analyst reports, integration into AmerisourceBergen will provide MWI further product sourcing possibilities to meet the evolving needs of its customer base. Scil’s product line provides Henry Schein customers additional options to meet their capital equipment needs. The evolution of these companies creates more opportunities for the practice as a consumer. But there can also be a downside. Consolidation may also bring changes in the sales force, disruption of long-established relationships, and often a learning curve associated with the integration of two companies. For the customer, this may mean communication gaps, delivery delays, and frustration with suppliers. While laboratory service providers have competed aggressively for years, recent events are likely to make this competitive segment even more so. In July 2014, IDEXX notified distributors that it was moving to a direct sales and distribution model, which was officially launched in January 2015. As expected, distributors responded quickly, with many establishing new distribution relationships with Abaxis and/or Heska for in-house laboratory equipment. This dynamic evolved again in March 2015, when VCA Antech agreed to acquire Abaxis’ reference laboratory. This new partnership created a much more natural alignment between Abaxis and VCA Antech in providing services to the marketplace. The resulting market now looks very different from last year. On one side of the equation, IDEXX now offers a fully integrated service model to their customers, directly providing equipment, consumables, and reference laboratory services. On the other side is a consortium of equipment and service providers, each providing the consumer their own specific services and collaborating, where appropriate, with strategic partners to meet the needs of their collective customer base. With the market so sharply divided, it is reasonable to anticipate competition heating up as competitors look to displace each other’s shares of practices’ business. The financial markets are watching all the players in the companion animal laboratory space to determine who will be successful in taking, or defending, their share of the marketplace. As a result, practice owners may have several good options when considering whether to improve or expand their in-house and reference laboratory capabilities. In fact, if a practice owner is thinking of adding or changing a laboratory suite, right now may be the best time to do so. Competition is healthy and provides more options for customers. In this case, increased competition may bring new technology to many practices that are long overdue for an upgrade of their clinical diagnostic capabilities. While many of the trends described in this article will more indirectly effect the veterinary practice environment, rapid growth of corporate-owned veterinary practices is an undeniably direct influence on the stand-alone veterinary hospital. Corporate-owned practices have continued to increase in recent years as the investor community has been attracted by the many positive features of the animal health services market. In July 2014, private equity based Ares Management LP agreed to buy National Veterinary Associates, one of the largest owners of independent veterinary hospitals in the United States (with more than 240 hospitals in 39 states). According to many reports, the deal was estimated at more than $800 million (between 11 and 13 times earnings). In January 2015, The Ontario Teachers’ Pension Plan acquired PetVet Care Centers, an operator of specialty and general practice animal hospitals in the U.S. According to a Wall Street Journal report the same month, this deal was worth approximately $440 million, or an estimated 11 times earnings. In addition, traditional corporate veterinary groups continue to be successful, as demonstrated by Banfield Pet Hospitals (currently over 900 locations nationwide) and VCA Animal Hospitals (over 600 locations nationwide) expanding their respective platforms. The discussion about corporate-owned veterinary practices is often emotionally charged for many practice owners. Corporate-owned entities are sometimes perceived as financially driven—not mission driven—organizations, and their existence alone threatens many independent practice owners. 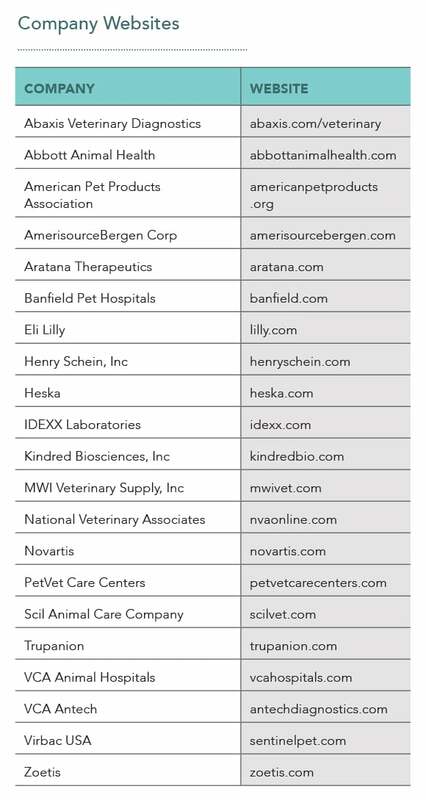 That being said, the total locations of the companies referenced above still represent less than 10% of the total number of veterinary hospitals in the U.S. Practice owners should recognize the many benefits to a healthy corporate veterinary practice sector. 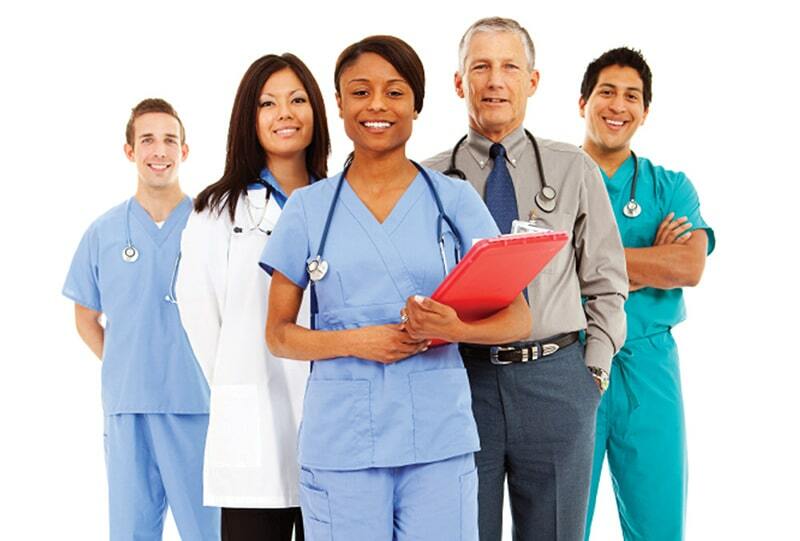 These organizations can only grow through the addition of new hospitals to their networks; therefore, opportunities abound for owners of high-quality practices. If you are an owner of a stable, strongly performing veterinary practice and are even considering an exit strategy, there may be no better time than these next few years to consider available options. While we are at work, caring for patients, the world outside is changing rapidly. The larger animal health industry is more fluid and sometimes more tumultuous than ever before, and the effects on our practices may be significant. While a boom of investment in animal health may bring new innovations to improve patient care, a whole new level of scrutiny will force companies to be more focused on results. And while intensive competition and increased scale among our suppliers may bring many benefits to our daily operations, there may also be frustrations as companies evolve systems and service structures. But the take-home message is clear: today’s veterinary practice is no longer part of an insignificant, mom-and-pop industry; instead, it is an exciting, evolving marketplace to which the rest of the world is paying close attention. Travis Meredith, DVM, MBA, Diplomate ACT, is the Contributing Medical Editor for Today’s Veterinary Practice; co-owner of Affinity Veterinary Center, Malvern, Pennsylvania; and Director of Member Services for Calico Group, Philadelphia, Pennsylvania. He received his DVM from Texas A&M University and his MBA from University of North Carolina—Chapel Hill.